All Chess Festival players may have games analyzed by a grandmaster. Please take advantage of this special opportunity to improve your game and to watch other games being discussed. 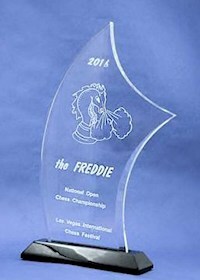 Sessions start approximately 2 hours after the start of each round of the National Open. GM Analyst to be announced. Past analysts have included GM Larry Christiansen, GM Var Akobian, GM Ron Henley, GM Melik Khachiyan, GM Ben Finegold, GM Larry Evans, and GM Arthur Bisguier. We encourage all our young players to submit their games for analysis. The GM who does the analysis will also judge the best game by a player 14 & under in the National Open. 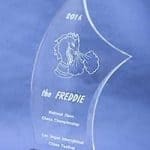 The winner gets THE FREDDIE AWARD. Only the first 6 rounds are considered.